Realtonga Airlines landed at Faleolo International Airport at approximately 3.40pm yesterday on its first regional flight to Samoa. The Realtonga aircraft was welcomed into Faleolo International Airport tarmac with a traditional water salute by the Samoa Airport Authority. Greeting the passengers as they disembarked the aircraft was the Minister of Communication and Information Technology, Afamasaga Rico Tupai. The welcome party was attended by Cabinet Ministers and members of the business and Tongan community. The Deputy C.E.O. for Real Tonga Ltd, Fakatele Faletau gave the welcoming remarks and the Minister of Tourism, Sala Fata Pinati delivered a welcoming speech. 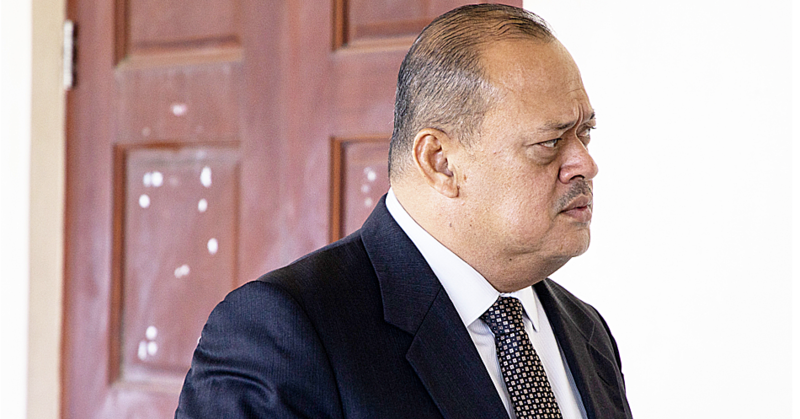 A representative of the family-owned airline, Vaiga Palu, spoke on behalf of Realtonga Airlines and said to the Weekend Observer that they were delighted and proud to reconnect with a regional family member such as Samoa. 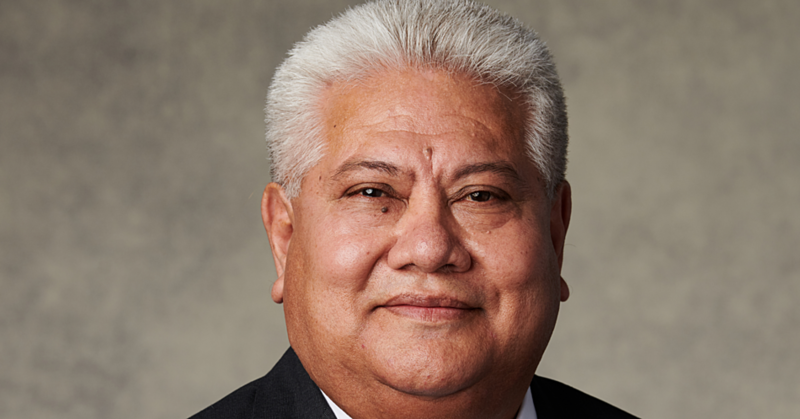 Realtonga Airlines was started by Tevita Palu who set up the airline for domestic services which has been the practice until now. 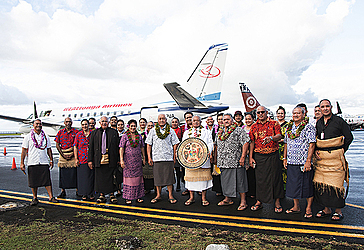 It has only been operating for five years and regular air services to all the major island sin the group but this is the first time that airline has expanded out of Tonga, operating on its own. Asked why they chose Samoa as their first international destination and Mr. Palu replied: “Because we love Samoa,” he smiled. Mr. Palu explained that Tonga and Samoa have long shared a bond in aviation before their inaugural flight last night and in a supporting a move to strengthen regional airlines, RealTonga Airlines have been in discussions with Samoa Airways on how to enhance their services. 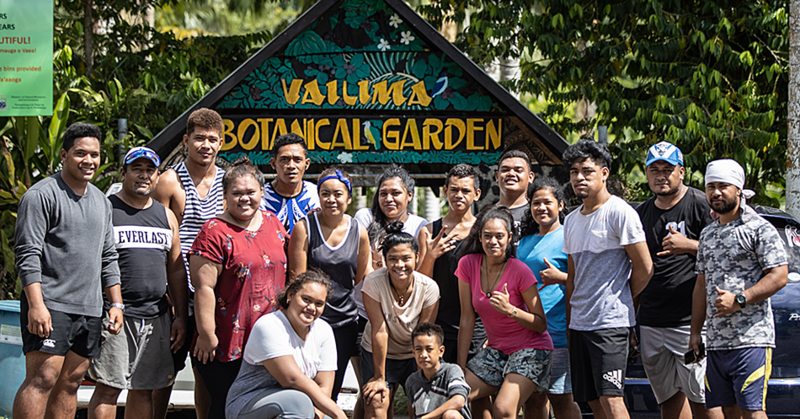 Reconnecting aviation business ties was not just a move of solidarity but also one that is strategic with Tonga realising a potential in the Samoan market at this time. “Tonga has been out of the Samoa market for quite some time now, almost 10 years where we did not have a direct service from Tonga to Samoa so the only way to get here is go via Auckland or via Nadi. The price inconvenience as such that we believe that maybe the time is right to come in. Direct flights to Tonga on Realtonga Airlines will be operating on Friday and Monday.